If you need a taxi for a trip from or to the airport linz austria, then you are exactly right with us. Our taxi company, founded in 1991 is located at the airport linz austria. Our drivers, long term experienced locals, have an excellent knowledge in the upper-austrian central area. Comfortable and spacious cars of the upper middle class with a capacity up to 4 passengers with plenty of luggage are basic fleet. 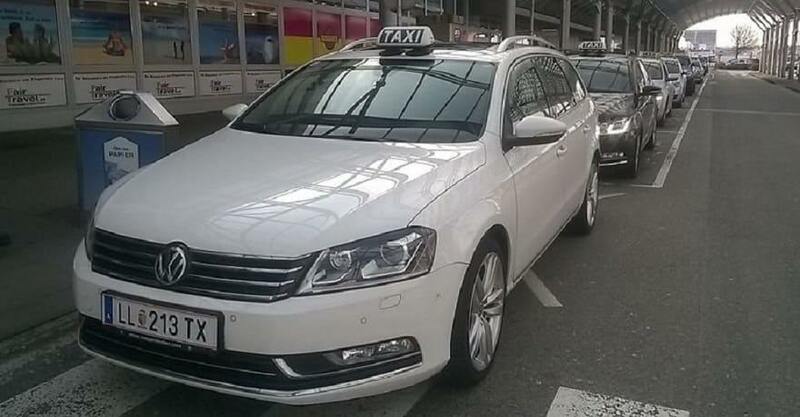 "Flag ship" is our VW-Passat V6 Variant with panoramic roof and high-grade leather upholstery. If you visit austria during wintertime with icy roads, or if you have to go to higher regions, our cars are perfectly equipet with traction control system and all-wheel drive. You want to concentrate on your job, not wasting your time with car rental or looking for parking lot? Contact us and we will offer you a perfect package deal for some hours or your complete stay in austria. For information and calculation of a simple taxi-ride please enter Taxi-fare. Looking forward to welcome you in linz.